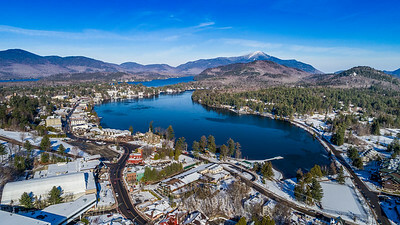 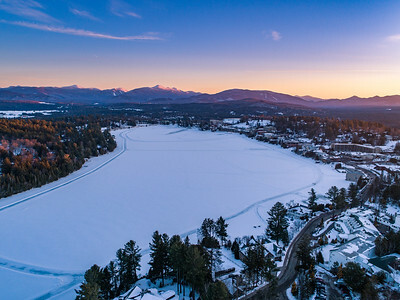 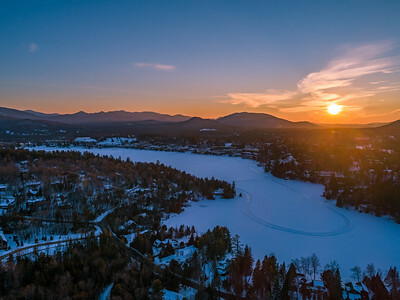 Mirror Lake is located in the Village of Lake Placid and serves as a focal point for the community. 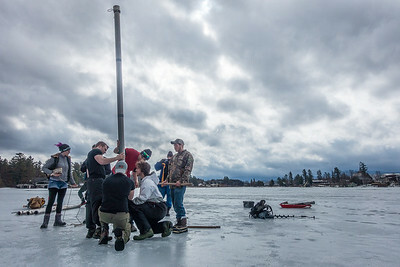 Many of these images depict research being conduct on Mirror Lake to better understand the lakes ecology. 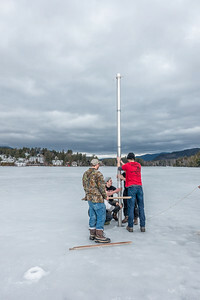 Paul Smith's College students lower conduit into the lake for piston coring. 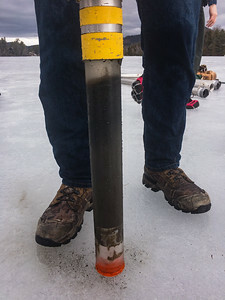 A gravity core collected from Mirror Lake. 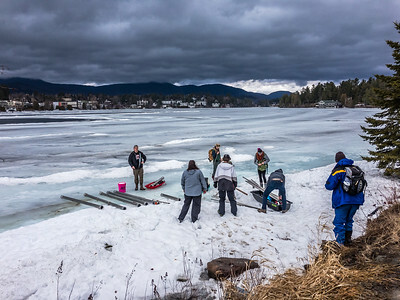 Paul Smith's College students preparing coring equipment on the edge of Mirror Lake. 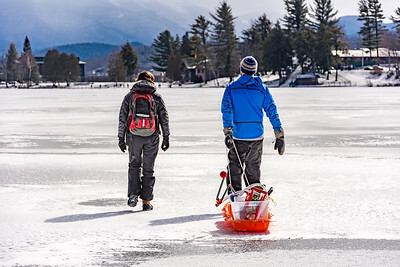 Elizabeth Yerger and Corey Laxson walking sampling equipment across Mirror Lake. 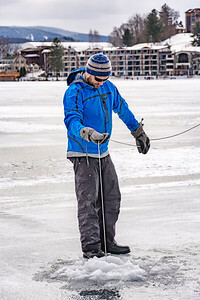 Corey Laxson lowering a Kemmerer sampler into Mirror Lake. 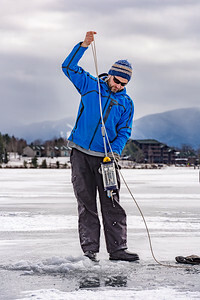 Corey Laxson collecting a water sample using a Kemmerer sampler. 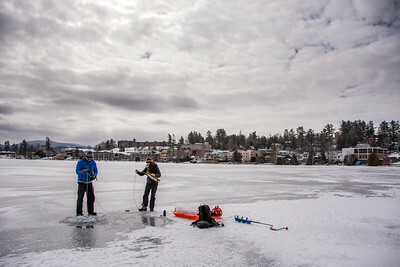 Elizabeth Yerger and Corey Laxson taking a discharge measurement at the outlet of Mirror Lake.